Seeking specialists in home refrigerator repair in Cranford, New Jersey? Call our number. In our local company, we are masters in services related to household fridges. Side-by-side refrigerator? Top mount fridge? Freezer problems? Leaking fridge? Torn gasket? Irrespective of fridge type, problem, and brand, our pros can fix your appliance effectively. You may rest easy that our team is responsive and provides same day repair. 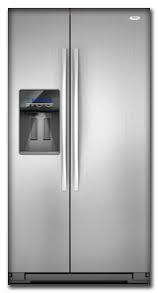 You can also ask the help of Appliance Repair Cranford when you want to routinely check and service your fridge. We do any fridge service with equal commitment, ex perience, and know how. Whether you have a sudden problem with your refrigerator or thinking of maintaining it, you can trust the service to us. Either way, you will be satisfied by the time of our response, the quality of our fridge repair parts, the competence of our technicians, and the quotes of our services. In order to fully cover the current refrigerator repair needs of each client in Cranford, New Jersey, our pros equip their service vans down to the last detail. This helps us have everything we need in terms of diagnostic tools, spares, and other equipment with us when we have to check the appliance and replace its parts. So you can trust that each refrigerator service is performed with accuracy. Are you dealing with fridge leaks, increased temperatures, worn gaskets, water inside the fridge, or a dead appliance? No matter what’s wrong with the unit, leave troubleshooting and service to our expert refrigerator technician. Certified, licensed, and qualified to service all types of fridges, our pros will accurately identify the problems, replace parts, and fix the fridge. Our response is quick when you need refrigerator repair Cranford service urgently. We are fully aware that these appliances are extremely vital and must function perfectly at all times. If not, they will waste energy and won’t preserve food. For the avoidance of such problems, you can also turn to our team if you want maintenance. Let our fridge technician take care of such requests. Call to tell us what your needs are today.